I hope to share with you in this post, a technique that I used during the second of the NaturesLens Skomer’s Puffins Photography Holidays, to achieve some, what I think are, striking images of the puffins on a dark background. 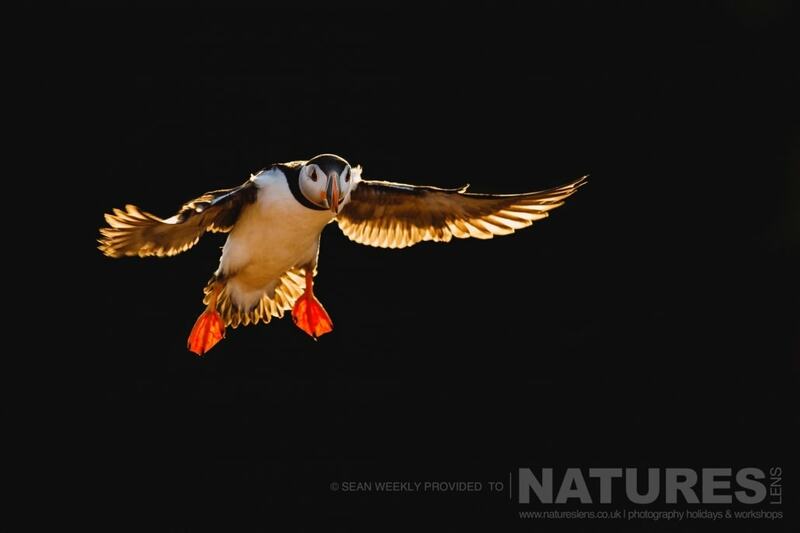 The technique for achieving images such as those that are on this blog post is as follows – the darkness of much of the image is from exposing for the harsh light with a very fast shutter speed & a low ISO. Take a looking at the surroundings & attempt to find an area where the background & foreground is in some shadow can be tough. However when using a fast shutter speed you can knock the shadow into complete darkness, giving your subject some very nice directional lighting & creating a very unique image. Or, equally, for amazing portrait images – although not too close, else the impact of the black background is lost. 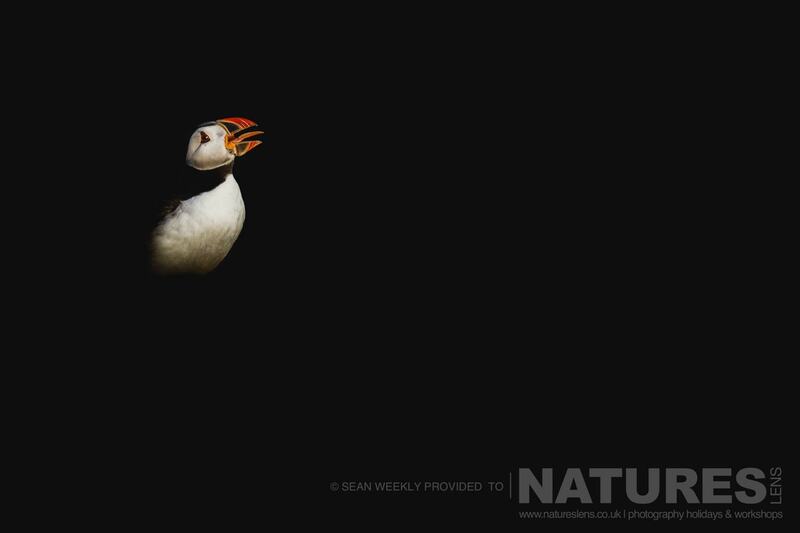 WOULD YOU LIKE TO UNDERTAKE PHOTOGRAPHY OF SKOMER’S PUFFINS? 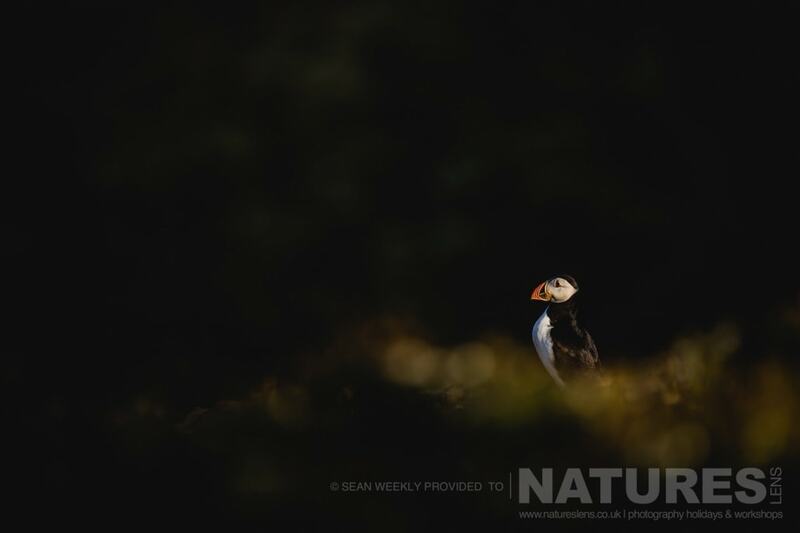 For 2018, NaturesLens have already announced a return to undertake photography of Skomer’s Puffins – the trip has been scheduled to start on July 7 & ending on July 10, 2018. 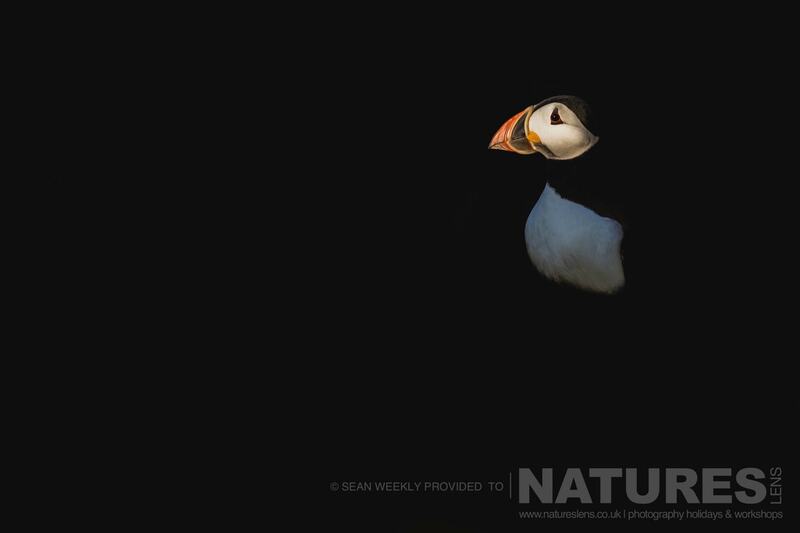 Whatever your query regarding our photography holiday, Skomer’s Puffins in the DarkPlaying With Light, please fill out your details below & we will get back to you.